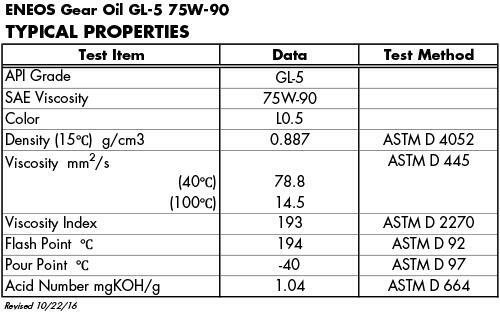 ENEOS Gear Oil GL-5 75W-90 is a high performance gear oil using the latest sulphur-phosphorus technology. This additive technology assures an excellent protection of the gears against metal-to-metal contact under the most severe conditions, even under shock-loads. ENEOS Gear Oil is recommended for use in bevel, spiral bevel and hypoid gear type differentials and in power dividers compatible with synchromesh. 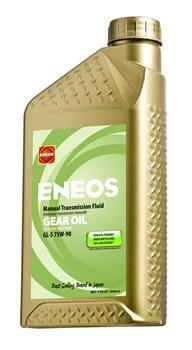 ENEOS Gear Oil ensures easy and smooth shifting, even at very low temperatures. 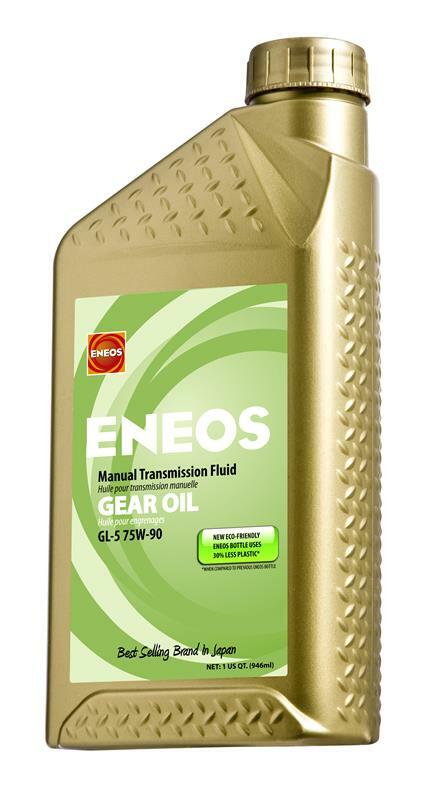 ENEOS Gear Oil GL-5 75W-90 is recommended for uses in manual transmissions and non-limited differentials including heavy-duty manual transmissions, axles and final drives where require API GL-5 and 75W-90 viscosity.